In a region renowned for its rich cultural soundtrack, the ways musicians acquire their instruments is rarely, if ever, discussed. Yet without those instruments—many of them specialized for the musical world of South Louisiana—the music would not exist. Today, it might be easy enough for a working musician in the area to head to a local music shop, put their money down, and walk out with a fiddle or accordion, even a rubboard or triangle. But that was not always the case. Before the rise of mass production, mail order catalogs and general merchandise stores in the late nineteenth century, musicians relied on local resources. Early instrument builders developed their craft using available materials, ingenuity and dedication. Several generations later, many South Louisiana instrument makers are internationally known and respected for their high standards, technique and above all, artistry. Some of them started out in the old fashioned way—they were self-taught and relied upon nearby materials. Others created, refined and then perfected the instruments so necessary for the music’s distinctive sound. Whether it’s a bright pink Savoy accordion or a stately violin built by Lionel Leleux, a carefully turned Montoucet triangle or a rubboard fabricated by second-generation maker Tee Don Landry, these craftsmen’s dedication to building instruments runs as deep as the culture they’re connected to. What’s more, the instrument builders directly contribute to the preservation, enhancement and proliferation of Louisiana’s indigenous musical genres. 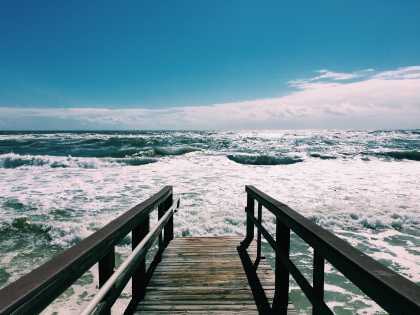 South Louisiana’s musical landscape stretches from fiddle and accordion-driven Cajun tunes to the rubboard and accordion-propelled zydeco, but it also includes the rock and roll, rhythm and blues-influenced grooves of swamp pop and homegrown forms of rock, country, and hip-hop. The origins of this musical diversity resulted from centuries-long cultural intermingling in the area. These roots stretch back to the colonial period of Louisiana’s history, when French Creoles and Acadians with a shared knowledge of the folk songs of western France, Native Americans with their progressive, wailing singing style and Black Creoles with their African and Caribbean-influenced rhythms and song forms, lived side-by-side and influenced one another’s music. The instruments they played would have ranged from gourd shakers and flutes to animal skin drums and the stringed instruments the Europeans arrived with. Spanish settlers brought their guitar, but the popular French violin dominated the early Louisiana music scene until German-Jewish immigrants began importing diatonic accordions. The western French musical tradition had used brass instruments like the cornet, reeds like the bonbarde, variants of the bagpipe family like the biniou and the cabrette, and stringed instruments like the violin. Early settlers in the Attakapas District (present-day south-central Louisiana) probably didn’t travel with delicate instruments, nor is it likely that Acadian exiles arrived in 1765 with fiddles in their hands. True to their reputation, there is documentation that they danced to music made by voice alone, and by the 1780s mentions of instruments in official documents include the violin and clarinet. According to Freddi Williams Evans, author of Congo Square: African Roots in New Orleans, enslaved African American musicians made their own instruments out of “materials from nature,” and they based their creations on those they or their ancestors had known in Africa. The main instruments were drums of all shapes, sizes and tones, but they often were supplemented with string and wind instruments. The human body played a role, as well, as performers would clap hands, stamp feet, pat their chests and thighs and, of course, vocalize melodies. Although we know a lot less about the musical instruments of the early Native Americans who encountered the Europeans and their African slaves, we can say that music played a large role in their ceremonial lives. Antoine-Simon le Page du Pratz, in his 1758 L’Histoire de la Louisiane, noted that during one of the annual Natchez feast days, “A man places himself on the ground with a pot covered with a deer-skin, in the manner of a drum, to beat time to the dances.” Beyond drums, Native Americans likely would have used other percussive instruments such as rattles and flutes made out of wood, or possibly bone, and the oldest instrument of all, the human voice. Thus three musical streams converged in South Louisiana during the colonial era—one from Europe, one from Africa and one already in America. The cultural interactions of Europeans, Africans and Native Americans continued well beyond the Louisiana Purchase, and in many ways are still evident today. As that continued, however, the instruments of South Louisiana music consolidated around certain string, wind, and percussive instruments in the aftermath of the Purchase, and especially after the Civil War. And while some of these instruments might have been purchased in a shop of some sort, as they were played at house dances and other social gatherings, they would fall into disrepair, and as they needed repairs, their nuances were revealed and early builders began to make their own primitive copies. Research by folklorists Barry Ancelet and Mathé Allain uncovered evidence of early South Louisiana builders making instruments in the 1800s. One, a blind craftsman from the Marais Bouleur area of St. Landry Parish (near present-day Bosco), was known for building triangular-shaped stringed instruments modeled from a sixteenth-century Italian cello style. This design pre-dates the universally accepted Stradivari design of stringed instruments that present-day violin builders study and strive to accomplish in their own work. Emar Andrepont on Prairie Ronde was the earliest known “orchestra-quality” violin maker. 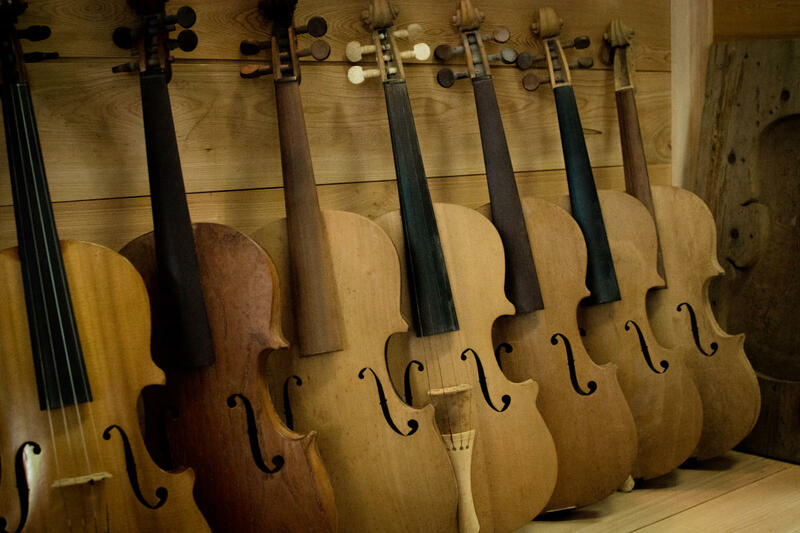 A landowner of comfortable means, he built over 60 violins but refused to sell a single one, instead giving them to family members who have treasured the heirlooms and kept the collection intact within the family. Several older musicians remember sneaking off to play a family member’s instrument and how hard they worked to purchase their own first accordion, fiddle, or guitar. Historically, instruments were rare and treasured—difficult to come by and own. However, if someone showed an early interest or proclivity toward a particular instrument, usually a fiddle or violin in South Louisiana, the community would sometimes work together to put an instrument in the young person’s hand—a reflection of the culture’s communal cooperative ethic. 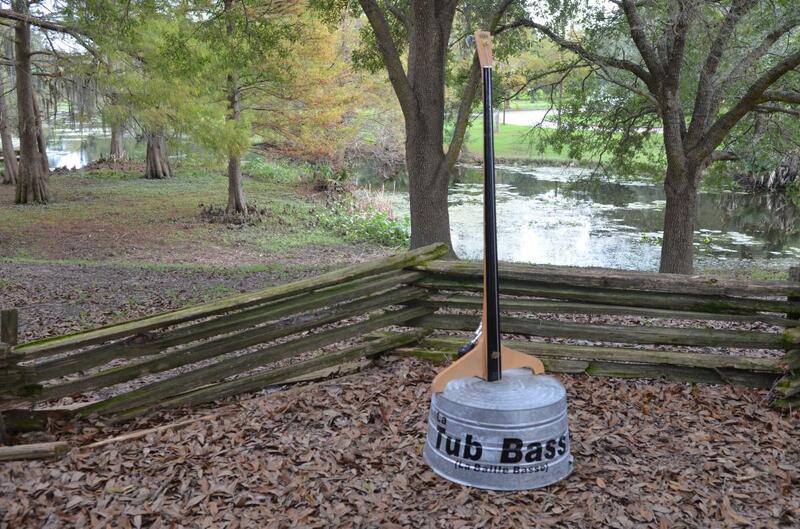 From these humble beginnings of homemade instruments developed a thriving industry in South Louisiana. Over generations of refinement and experimentation, instrument building has turned into a thriving profession that allows those engaged in it to not only earn an income but also to support South Louisiana’s indigenous music scene. Along with these master craftsmen who build sophisticated accordions, violins and finely tuned triangles, there are many native Louisianans who, like their forebears, make music with bones, cigar boxes, wooden planks, washboards, rake tines, foot tubs, spoons, and a passionate attachment to tradition. Creativity, necessity and persistence created a perfect storm for the proliferation of indigenous Louisiana instruments. Many homemade instrument builders made just one instrument, the one they played and handed down until it fell apart or ended up in the hands of someone like professionally-trained luthier and violinist Anya Burgess, owner of SOLA Violins in Lafayette. 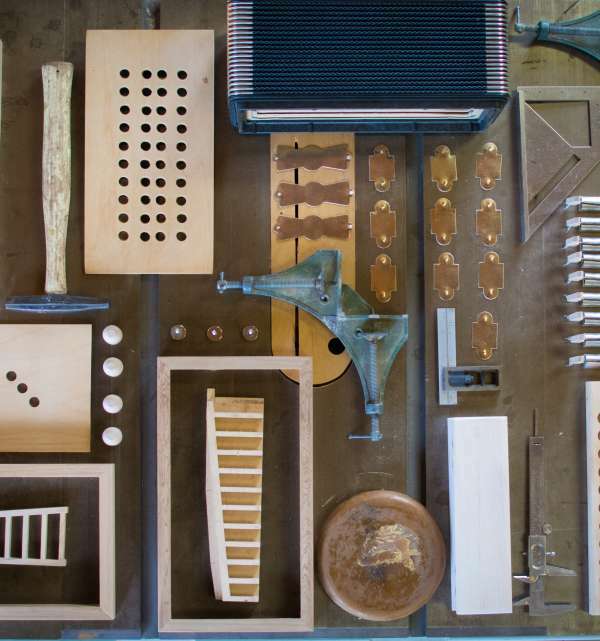 Burgess notes that while most instruments can be considered “handbuilt,” the term “homemade” more accurately applies to those instruments built by an untrained person using materials and tools near at hand or repurposed for the project. Over the years, she’s compiled a list of local violinmakers and documented their building techniques and quirks. Family members bring in heirlooms for repair and Burgess makes them “at least playable,” although the rough construction won’t give them the concert hall sound that a professionally-built violin carries. Instead, they tend to have what she calls “that front-porch sound” produced by thicker boards, improvised strings, and crude bows. Of the homemade fiddles she’s seen, Burgess can recall one female builder, one fiddle made with a bone tail piece, several hidden maker’s labels, and in each one, the builder’s personality. “I have great respect for anyone who builds an instrument without prior knowledge and guidance,” she says. Emar Andrepont, a well-to-do farmer from Prairie Ronde, was one of the first to build orchestra-quality violins. Patterned after the work on one I. Benoit from New Orleans, Andrepont modified his technique with some rather unorthodox practices. One deviation was that he made his front and back plates by molding thin sheets of wood over a pre-made pattern and submerging the pieces in a well, rather than carving them from a thick block of wood. Burgess and many other observers consider Lionel Leleux to be the pinnacle of local violinmakers. Born in Vermilion Parish in 1910, Leleux was interested in fiddles his entire life—he chewed on his daddy’s fiddles while cutting his first teeth, daydreamed about fiddles he would build one day, and dismissed school because there weren’t any pictures of fiddles in the textbooks. As a fiddlemaker, Leleux honed his craft to the level of folk art by sheer willpower. Leleux’s interest in fiddlemaking grew out of successful early attempts at repair work. Once he found that he had a natural talent for fine woodworking, he set out to master the creation of the instrument. With unusual tenacity, he eventually mastered advanced math and science with only a grammar school education, doggedly pursuing his interest sometimes at the rate of only one page a day. What’s the difference between a violin and a fiddle? One’s got strings, the other’s got strangs! Truly, the difference is in the music played on it. Early fiddlers played old orchestra-quality Italian, French or German violins that came to Louisiana with the wave of Americans and others were made in America and patterned off those European standards. And many others were made locally to satisfy a personal desire or give to a friend or neighbor. Given the lack of specialized tools building a violin required, early builders used pieces of broken bottles as scrapers, improvised parts from wooden cigar boxes, cypress barn slats for necks and bones as pegs. Many a resourceful young fiddlemaker risked his mother’s anger for a few unraveled rows of window screen for strings, or a spool of thread to hair a bow. 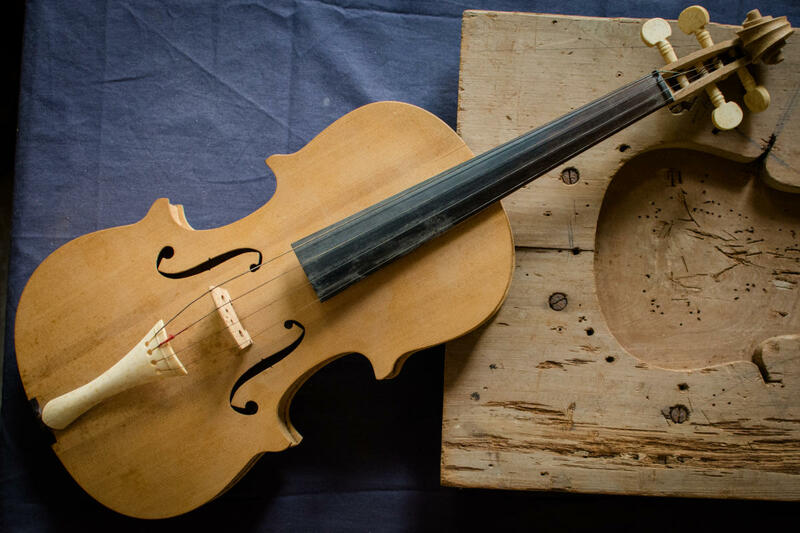 Acadian fiddlemakers learned through trial and error, some eventually producing instruments of high quality, with imported backs, ribs, necks and scrolls, constructed of exotic woods. More likely, though, are instruments like Wedisson Reed’s of Eunice. His early fiddles were whittled from cypress planks and eventually adapted to include top and back plates of spray-painted Formica. One of his Formica fiddles is part of the Natural Science Museum’s permanent collection. Arnaudville’s Paul Devillier used commercial lumber for his first fiddle and interior paneling for his second instrument. Lionel Leleux carefully cured rare swamp maple plates for a series of Louisiana instruments. Adner Ortego of Washington used a curious collection of salvaged woods including magnolia, black gum, cherry and walnut that produced a beautiful variety of colors and grain patterns. Other fiddlemakers created grain designs by painting wavy lines on the ribs. Builder Louis Jouett, and high school band director, taught himself to build violins and used the kitchen table as his workshop. He mixed his glue in a poached egg cooker in small batches. His daughter remembers pushing aside violin parts and tools so that she could eat lunch. Regardless of the builder or the method, all homemade instruments are true labors of love, meant to be played and enjoyed. For many accordion builders, this is especially true. The diatonic accordion was invented in 1828 in Vienna, and quickly became a popular folk instrument across the ocean, in large part due to its durability and versatility. Its loud bass chords made it the ultimate one-man band. By the late 1800s, German-Jewish retailers like Mervine Kahn’s in Rayne began selling early imported accordions. Those first squeeze boxes were complicated affairs with several rows of buttons, cheap tin reeds that were hard to keep in tune and bellows that tore easily. 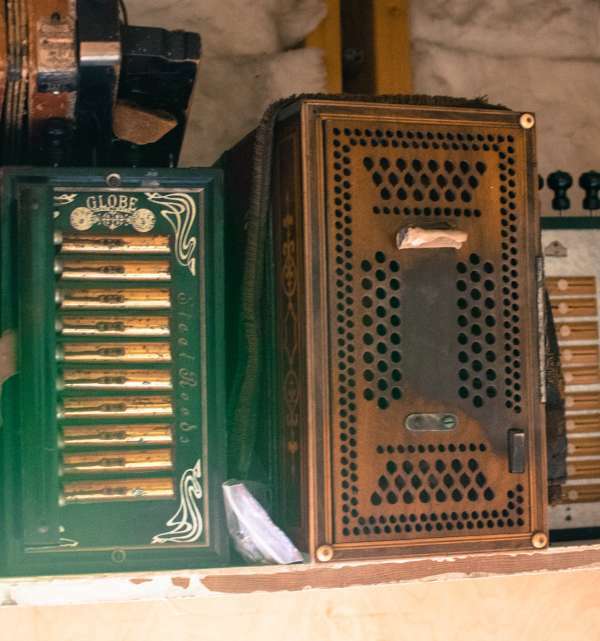 Post-World War I, smaller, louder, less complicated accordions with a single row of buttons dominated the growing music scene. These instruments, Monarchs, Sterlings and Eagles, were greatly improved, but still hid their imperfections in black paint. Their sheer volume, bolstered by steel reeds and sturdier bellows, made them the feature of Cajun bands. Limited to twenty notes (10 each, pushing and pulling) on a simple scale with two pairs of bass chords, musicians were forced to simplify their melodies and arrangements. With the onset of the Second World War, German factories switched from making musical instruments to war machinery. This shortage of instruments in South Louisiana coincided with a wave of social change and Americanization. Traditional bands and their dominant accordion gave way to western swing string bands, amplification and strictly English lyrics. Returning GIs crowded the dancehalls, nostalgic for the sounds and songs of their homeland. Many a performer dusted off his accordion and stepped again onto the stage, but many others needed replacements. Post-war German accordions were of such inferior quality, they drove up the prices of the older neglected Monarchs, Sterlings and Eagles. 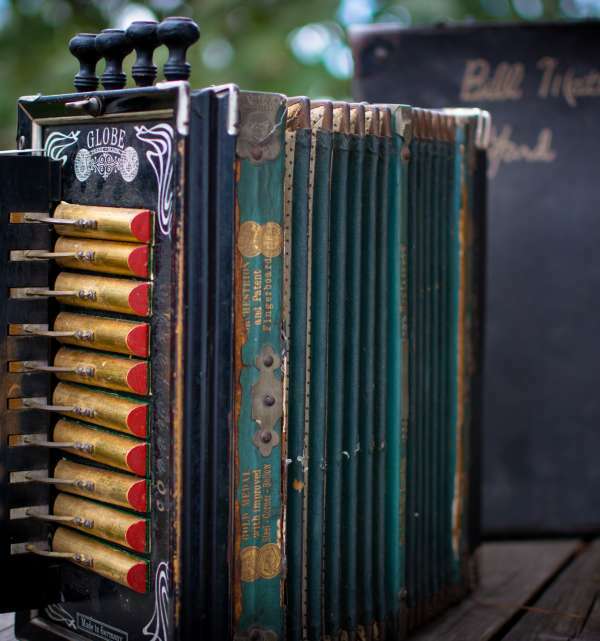 Regional accordion builders first surfaced in the 1940s in Cecilia and the 1950s in Lake Charles, as those who repaired the instruments began fabricating their own replacement parts and, subsequently, entirely new accordions built from scratch. 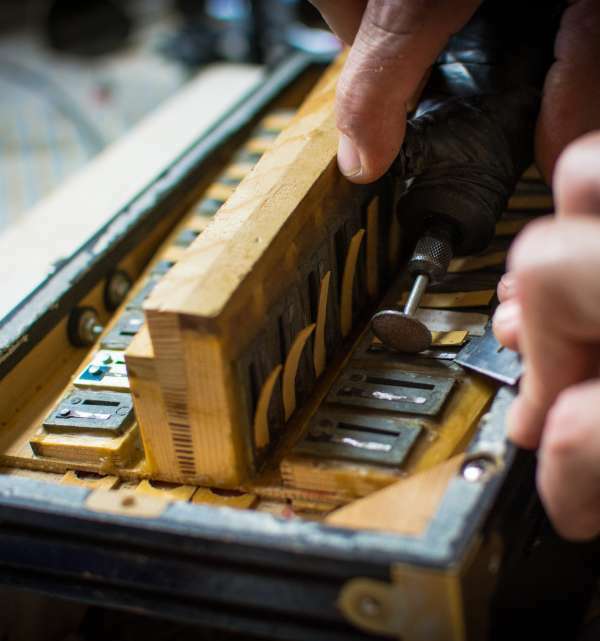 The first of these craftsmen, Sidney Brown of Lake Charles, made his instruments of cheap lumber and even Masonite painted black to copy those first German accordions. Another Lake Charles builder, Valentin Lopez, named his products “Starling” in open imitation of the German model. The relationship between a musician and his instrument is heightened when he also knows how to build his instrument. The accordion is a frustratingly intricate and sensitive instrument that requires its builder to exercise patience, persistence and self-discipline. The result, says builder Jude Moreau, is an instrument that will outlive its builder and its first owner. “They only get better,” agrees fellow builder Rusty Sanner. Joel Martin, of the third generation of accordion makers Martin Accordions in Scott, explains that even when built in batches, each accordion’s parts are made individually and by hand. Marc Savoy, of Savoy Music Center in Eunice, began his building career by disassembling and rebuilding his own Sears & Roebuck Hohner, improving upon its design using imported bellows and reeds, plus “a few instruments such as Db meters, electronic tuners, a few pressure gauges and [his] mother’s vacuum cleaner.” He also eliminated the need to paint his accordions black, by using maple and other fine woods. 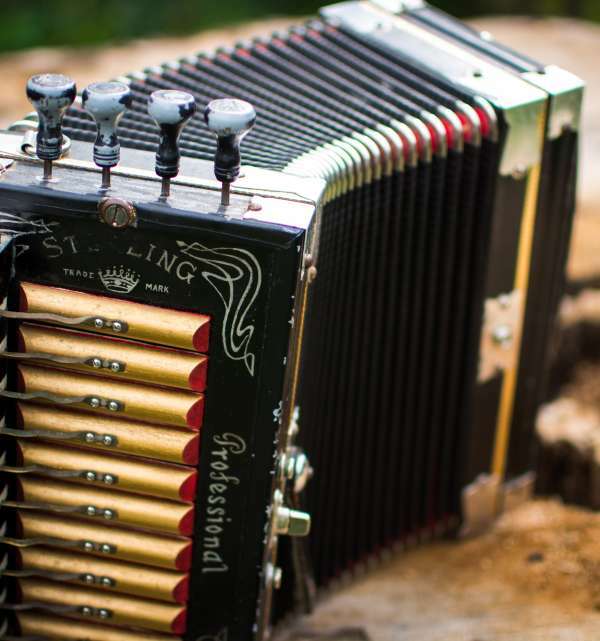 Randy Falcon makes “only 20 to 25” accordions each year, and in his four decades of building, has improved upon the design of the diatonic accordion. His patented dual-pitch melodeon allows the musician to play in two different keys on the same instrument and was inspired by watching Wayne Toups perform at a festival. “He kept having to switch between accordions” and Falcon figured there had to be a better way. What once was born of necessity has now become a thriving cottage industry of innovation and ever-higher standards. Today, you can visit several of these workshops in the Acadiana area and witness the ingenuity, creativity and dedication that produce the specialized instruments of Cajun and Creole music. Many have followed Marc Savoy’s lead and experiment with various native hardwoods and shell inlays, making objects of true beauty and exquisite sound. 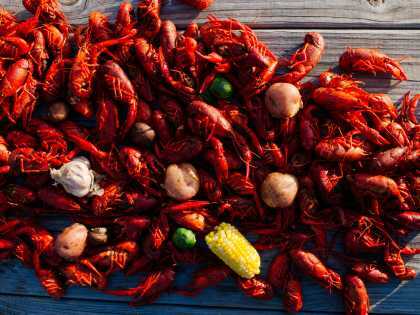 Their trademarks proudly reflect the region and their roots: Acadian, Cajun, Creole, Evangeline, Teche, Magnolia, Mamou, Cajun Roots, La Prairie, as well as a slew of family names including Lejeune, Martin, Falcon, Leger, Michot, Hebert, and Richard. The simplest and most readily form of homemade instrument is your own voice, accompanied by percussive rhythm using your body. 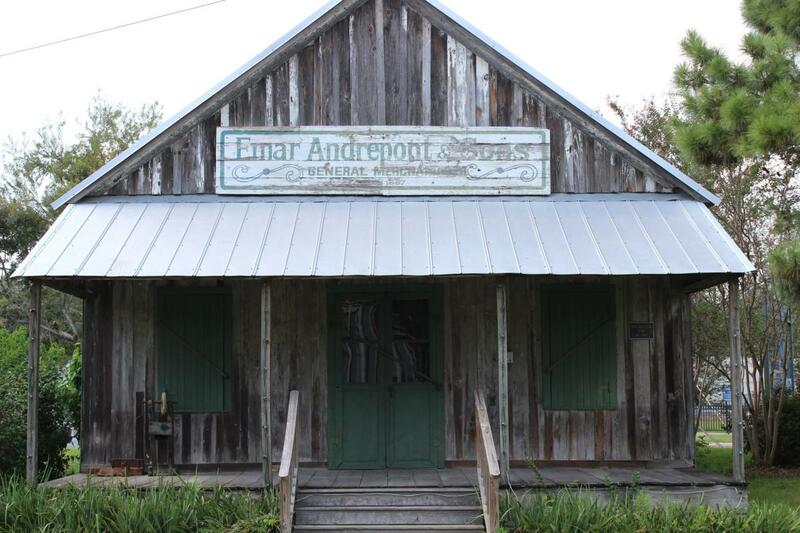 In the earliest period of French settlement in Louisiana, there was little music. As the frontier was explored and colonized, a new identity developed and along with it, a new repertoire of tall tales added to their European stock of animal and fairy tales. 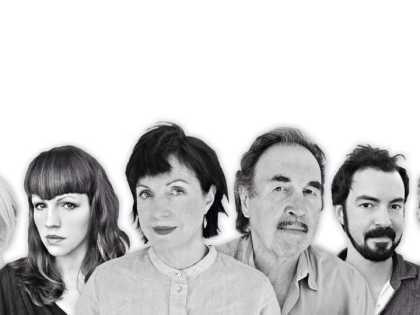 Their songs reflected both old and new worlds and their experiences. Exiled Acadians in Saint-Dominque (present-day Haiti), en route to Louisiana, were reported to have danced to reels à bouche, wordless dance music made only with their voices. When instruments were unavailable or forbidden, the Acadians danced anyway, making music with their voices, stomping their feet and clapping their hands. If the round dances got stale, they hummed reels à bouche and danced, “the old and young alike, all dancing to a fast step.” At the same time, African slaves and gens libres de couleur were living and working in the same or nearby fields and singing their traditional songs, accompanied by other voices or sounds made with their hands, feet and nearby objects. During Lent, those 40 days of restraint and reflection, music and dancing were forbidden. This restriction gave rise to juré in rural Creole Acadiana communities during the early twentieth century. This call-and-response group singing of typically men was accompanied by hand clapping and “shoeing,” shuffling of feet to the beat of the song. The juré circle is diplomatic in its role assignment, as the oldest of the group usually takes the lead and three or four other singers respond, echoing the verse. Cecilia Broussard is a rare female juré singer from St. Landry Parish. “My daddy was the ‘juré man’ and sang the gospel songs at funerals and wakes.” He was often invited to gatherings to lead the singing in their sharecropping community. During Lent, they would travel from house to house on Friday and Saturday nights and share the week’s gossip, perhaps a meal and entertain each other with a cappella singing. “It was a way to get around not being able to dance,” Broussard says, adding that she enjoyed shoeing along to the singing. Other singers added various rhythmic elements by thumping their chests or thighs, snapping their fingers or humming. 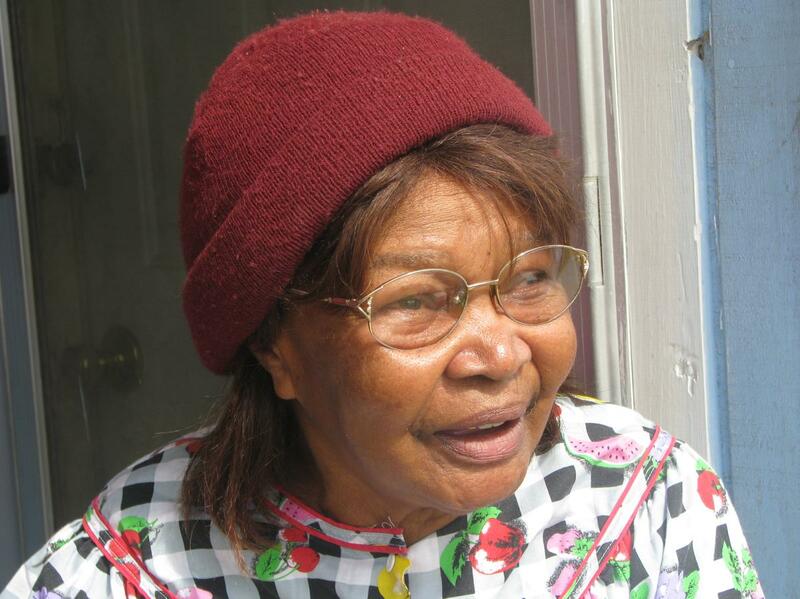 Broussard taught her daughters the songs as children, and now her grandchildren occasionally chime in. Singer Mary Bias’ favorite song, “Brother Lee John is Dead,” reminds her of her mother, who sang it when she was angry with her husband. Folklorist Josh Caffery’s website, lomax1934.com, presents a version of this same song sung as a ring shout in the 1930s by a group of men led by Jimmy Peters of Jennings. 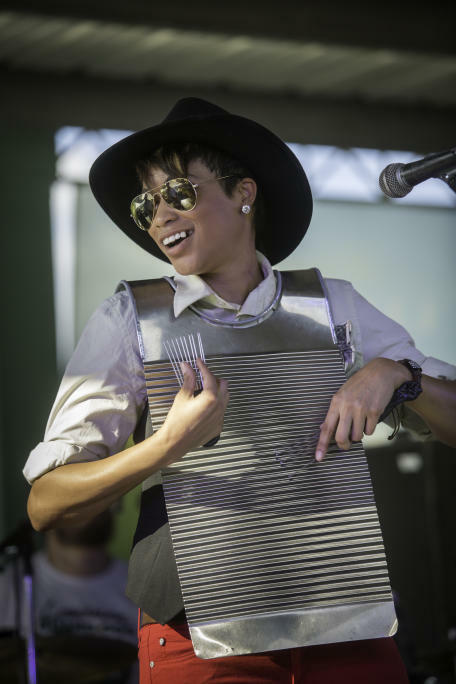 Most Creole juré songs deal with everyday situations, such as the well-known “les haricots son pas salé,” the future battle cry of the homegrown musical genre zydeco. Creole fiddler Canray Fontenot recounted a conversation with Clifton Chenier to historian Michael Tisserand, admitting that he’d never attended a juré because “they used to have that where they didn’t have no musicians, but I was born where they had some musicians.” He explained that “them old people would sit down, clap their hands, and make up a song. And they would dance on that, them people.” His hometown of Basile didn’t have a juré tradition and he always wanted to go to Mamou or Ville Platte to find “them juré.” Fontenot goes on to explain that Clifton Chenier’s father played “Zydeco est pas salé” as a juré but Clifton thought it was the wrong speed for dancing. He sped up the beat and sure enough, people danced to the song and early zydeco music was born. If building homemade—particular cigar box—instruments served as a way of obtaining musical instruments even when one did not have the means to purchase them, the craft has become a hobby these days. What was once a necessity is now a pastime. A few years after making the washtub bass, Adams began making cigar box fiddles and guitars. Despite the relatively simple design of the instruments, the endeavor has been a learning process. The materials place limitations on the instruments as well. “It’s never going to be as good, in terms of sound quality, as a fine violin,” Adams notes. “There’s a reason a violin is shaped the way it is and not a square box.” But those constraints are part of the challenge, and making a cigar box instrument sound good is its own payoff. “It’s definitely more impressive than anybody expects it to be,” Adams says. The materials necessary to build cigar box instruments are less available than one might think. A hundred years ago, getting one’s hands on scrap lumber, old baling wire or other strings, and of course, cigar boxes, might have been as simple as going to the trash heap at the back end of one’s property. Nowadays, with modern sanitation and disposal methods, finding these so-called found materials can take a lot of determined looking. That was the case when Adams first started making cigar box instruments. With fewer cigar-smokers today than in the past, the boxes were particularly difficult to locate. Adams recommends the website www.cigarboxnation.com (“Home of the Cigar Box Guitar Revolution”) and William Jehle’s One Man’s Trash: A History of the Cigar Box Guitar as excellent resources for those interested in learning more about cigar box instruments and how to make them. Most of the percussive instruments in Cajun and Creole music began as homemade, improvised instruments that slowly grew into integral components of the distinct Louisiana music scene. 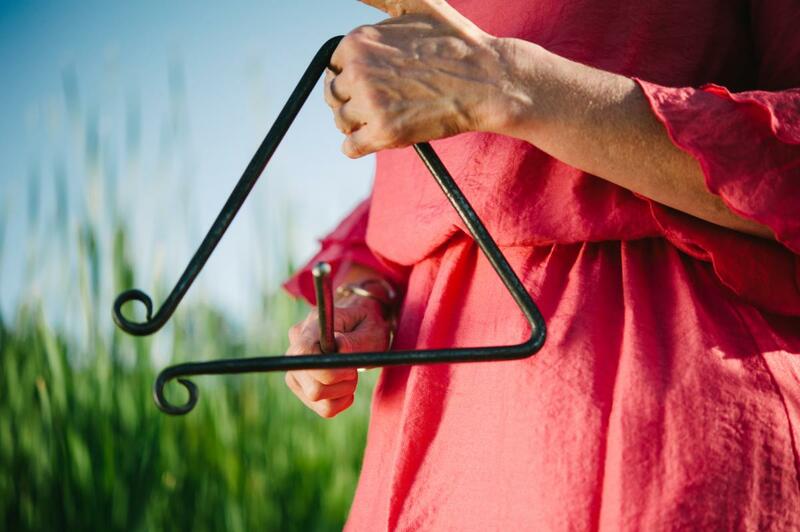 The triangle or t’fer, translated as “little iron,” provides the sharp ping-ping of the beat in Cajun music and the frottoir, or rubboard, gives another level of syncopation to zydeco music and both were developed from readily available objects. Musician Corey Ledet agrees that the percussion is the “heartbeat of the band” and helps focus the band’s timing and rhythm. Christine Balfa, daughter of seminal Cajun musician and cultural activist Dewey Balfa and a Grammy-nominated musician herself, fondly remembers those improvised instruments of her childhood, including spoons and bones. Not having enough instruments didn’t stop the good times. Some percussive instruments were mere household objects pressed into service for the sake of a rhythm. Sometimes stylized versions of these became integral instruments to Cajun and Creole music. Afro-Caribbean music’s rasps and notched gourds were replaced by washboards and rubbed with thimbles, spoons or bottle openers. Carved cow bones and bent soupspoons also served to keep the beat. Difficult to play because they have to be held just so, some clever young musicians attached screws or rivets to maintain proper position. A number three washtub easily became a one-string bass when upturned and drilled (confirming its new life as a musical instrument) to run a broom stick through and strung with baling twine or thing rope. Blacksmiths made petit fers, triangles from a medieval French tradition, using hay or rake tines. The springy tempering of the tines carry a clear ringing sound, which traveled beyond the melodic instruments and often provided the only audible music at the back of a crowded dancehall. Another second-generation maker of an improvised instrument is Tee Don Landry. His father, Willie Landry, was well known for being able to build or fix anything, including the spinning Evangeline Maid billboard display. While working with Cleveland Chenier in the oil field in the late 1940s, he agreed to make a rub board for him that would be easier to hold and play. Until then, Cleveland played a traditional wooden-framed washboard with a rope at the top to hang the board around his neck. Willie’s creation was the first rub board with curved shoulder straps and was made of tin. 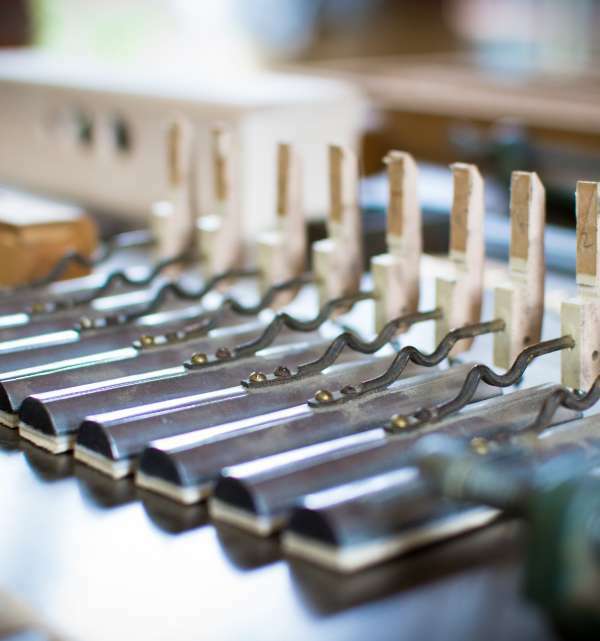 Over the years the Landrys have refined the design, making their boards individually out of stainless steel. They offer rub boards in several thicknesses, to achieve different sounds, and a variety of ridged patterns as well as women’s model, recently dubbed the “Rihanna” after her touring band purchased several.